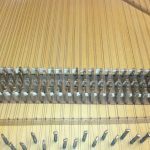 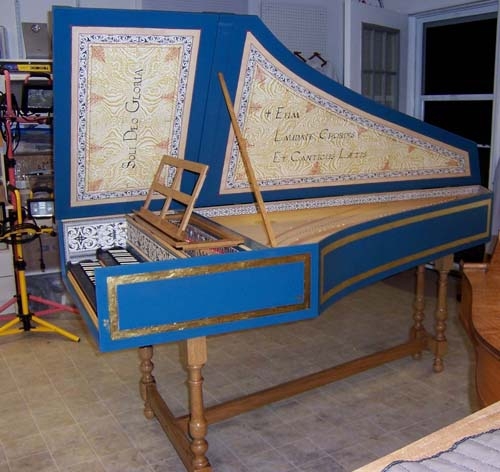 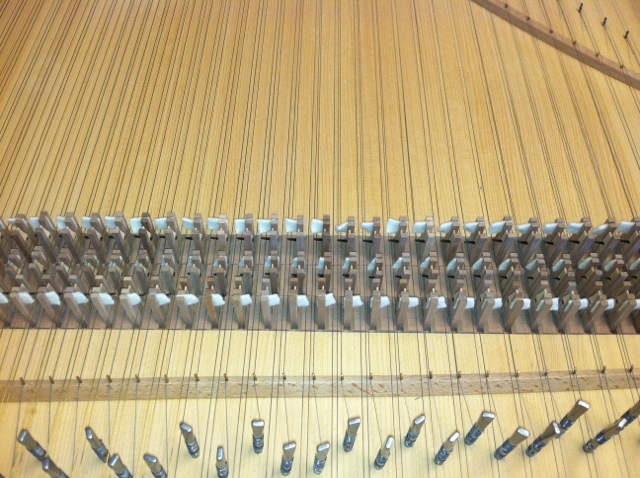 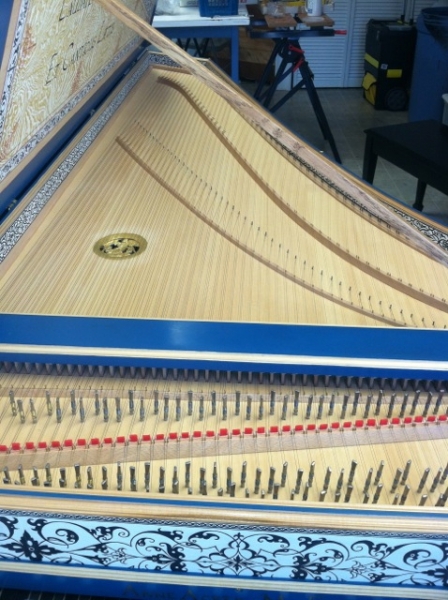 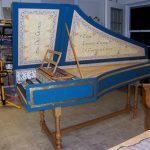 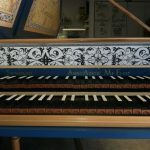 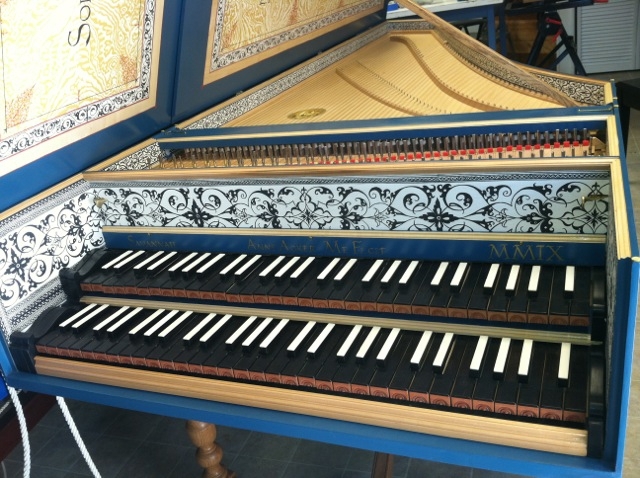 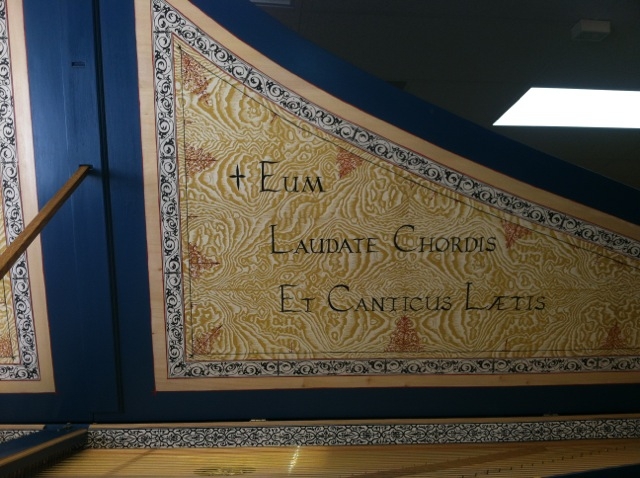 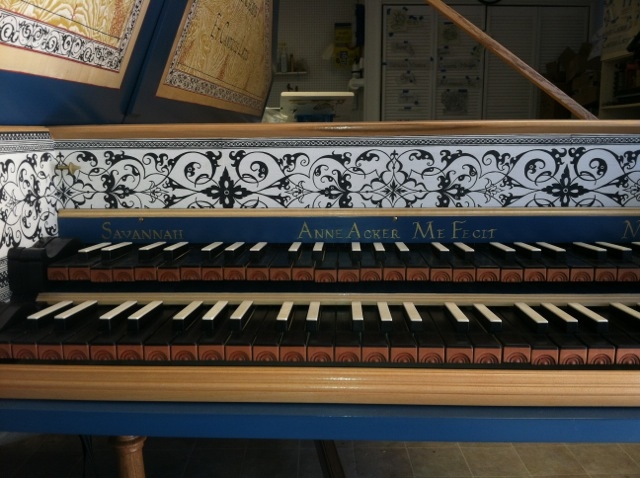 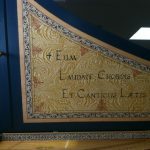 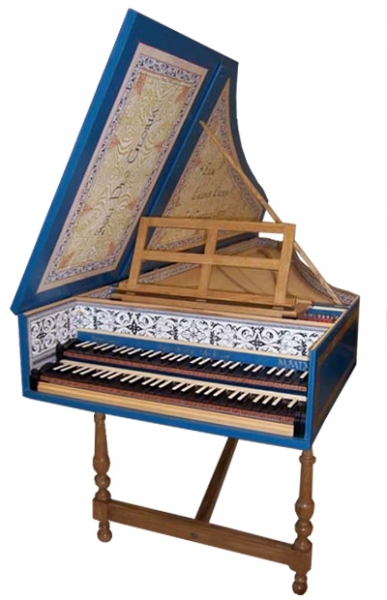 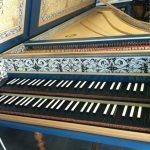 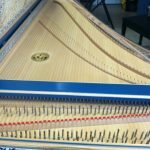 This harpsichord has gorgeous sound and touch. 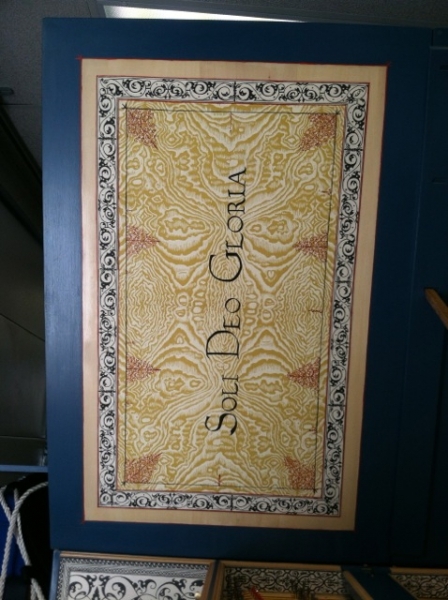 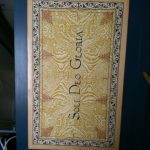 Full block printed Flemish papers and Latin mottoes, decorated by Anne Acker. 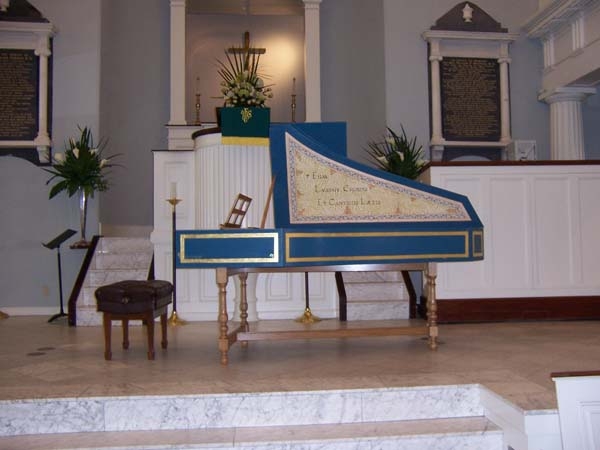 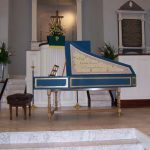 Only very lightly used as the church that commissioned it lost their harpsichordist/music director between the order and delivery and the new one has no idea how to use a harpsichord and apparently no interest (sad but true). 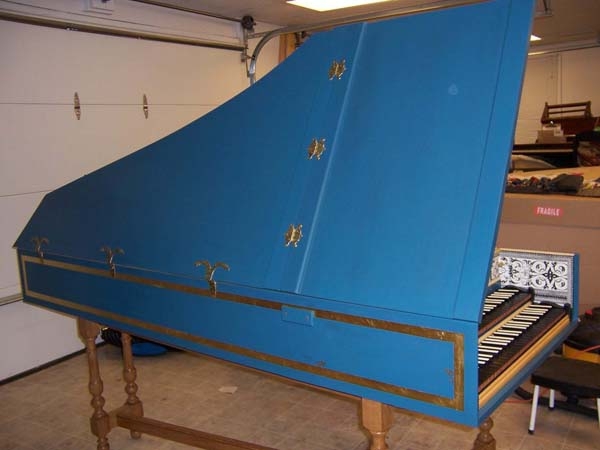 They have wisely decided to have it go somewhere that it can be used and loved. 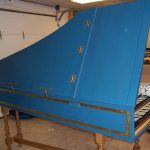 Oak music desk and lid stick to match the stand.